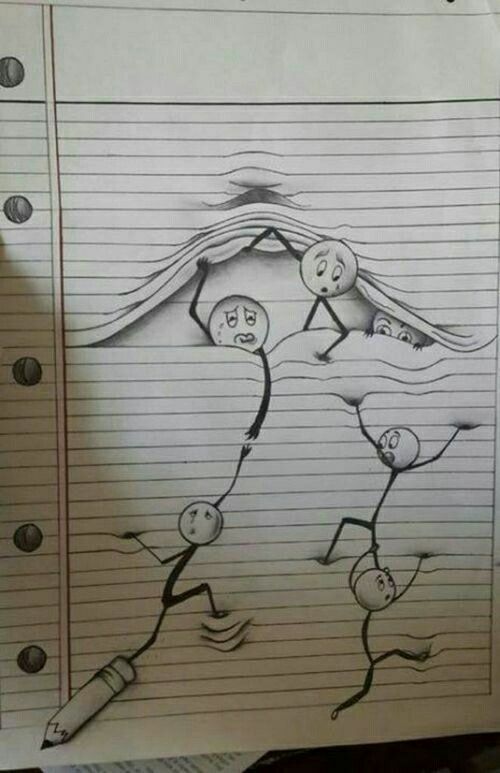 I’m not sure if these little stick people are struggling to escape into the paper or out of the paper in this lined paper drawing illusion. Either way, it’s still pretty adorable! Since the lines of the lined paper were drawn on with pencil, it was also probably a little easier to create this illusion than if it were drawn in regular lined paper. I really wish I had artistic talent like this! If you loved this lined paper drawing illusion, don’t forget to show it a little love by giving it a good rating with the stars below! Prev Father Optical Illusion for Father’s Day!